Did you know that nearly 250,000 crane operators, other industry workers, and non-construction working individuals are at risk of suffering serious injury or death in aerial lift accidents each year? An annual study conducted by the Liberty Mutual Research Institute for Safety in 2010, revealed that the direct cost to employers from injuries in 2008 was $53.42 billion. Yes, you read that correctly. $53.42 BILLION. Furthermore, the study concluded that accidents at the workplace were estimated to cost employers an additional $80 to $200 billion annually. Yikes! To limit injury and death OSHA has instituted a strict policy related to safety procedures dealing with aerial lifts. It’s pretty plain to see why thorough and sufficient aerial lift training is extremely critical to every relevant organization and employee. Through the Safety Services Aerial List Training, (click here or visit https://www.safetyservicescompany.com/training-kits/aerial-scissor-lift/), OSHA requires the implementation of standard emergency procedures, thorough training for usage, stringent and proper maintenance of lifts, and providing the proper personal protection equipment for everyone on the job site, and so much more. These training policies have proven to reduce the likelihood of injury and save employers billions of dollars every year. What is an aerial list? An aerial lift is a device that enables access to hard-to-reach places by lifting a platform, rated to carry humans and equipment, into the air. These devices give workers temporary access to otherwise inaccessible locations. The devices are easy to use and are typically safer to use than ladders and scaffolds. These devices are usually powered by electricity, gas, or pneumatic or hydraulic systems that power a series of supports, lifting the work platform. Common types of aerial work platforms include the cherry picker or bucket truck, and the scissor lift. These devices are distinguishable by the type of platform used to lift workers. The scissor lift is an industrial lift modified for retail and wholesale settings. The lift features a platform that rises when the linked, folding supports underneath it draw together, stretching it upward. These lifts can reach from 21 to 62 feet above ground. In addition to moving horizontally, the lifts can move vertically as well. The lifts are typically powered by an electric motor. Cherry pickers and bucket trucks are types of aerial lifts containing a fiberglass or steel platform (bucket) secured to a hydraulic or electric lifting system, which includes the lifting arm(s) (boom), and a rotating turret. These arms are mounted to trucks, vans, trailers and other motorized devices. The system is designed to lift personnel into the air safely, allowing them to perform their necessary tasks. Some bucket trucks are also equipped with a material handling winch designed to lift materials and supplies. These lifts are used in a variety of industries, the most common being electric utility, telecommunications, lights and signs, and vegetation management. Tampa, Fla., May 2011 – An electrical contractor sustained life-threateining injuries when he came in contact with a live wire while in a bucket lift truck working on a transformer. H was taken to a hospital where he later died from his injuries. Tunica, La., April 2011 – A 38-year-old man was killed after the aerial lift he was operating overturned and crushed him. The equipment overturned while on a slight incline. Crane accidents are one of the leading causes of death and injury in the construction industry. About 26 die each year, with more than half of the deaths involving boom-supported lifts, such as bucket trucks and cherry pickers, with the others involving scissor lifts. 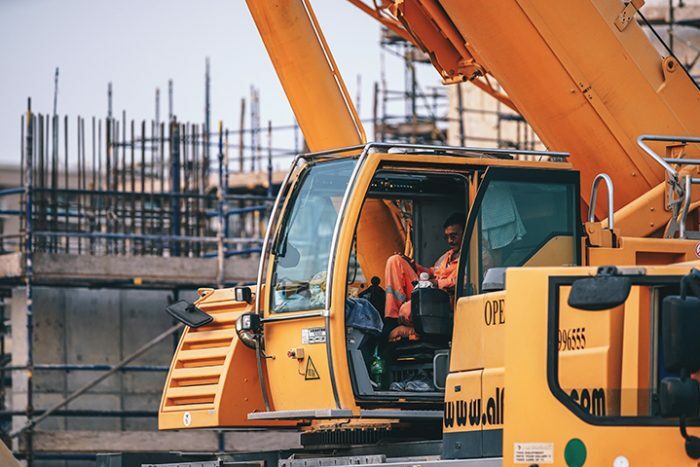 According to the Bureau of Labor Statistics (BLS), these deaths account for 17% of fatal injuries in U.S. construction, but the proportion of injuries actually involving construction vehicles and equipment is probably greater. While the sheer number of injuries is staggering, the financial impact they place on employers is overwhelming. An annual study conducted by the Liberty Mutual Research Institute for Safety in 2010, revealed that the direct cost to employers from injuries in 2008 was $53.42 billion. Furthermore, the study concluded that accidents at the workplace cost employers an estimated additional $80 to $200 billion annually. A second report by the U.S. Department of Labor cemented the findings of the insurance groups report. This report stated the average workplace injury cost an employer $43,000. The same study estimated the cost from wage replacement due to injury to be roughly $50 billion a year. “An accident at the workplace can often be the difference between operating in the black and falling into the red,” said Safety Services CEO Devon Dickenson. While the regulations of ANSI are only recommendations, OSHA has in place a series of requirements that all employers using aerial lifts must abide to. These regulations are CFR’s 1926.453, 1926.454, 1926.451, 1926.452, and 1926.454. While the blow of a workplace injury is crippling to many companies, aerial lift safety training programs are proven to drastically reduce the risk of injury and increase workplace productivity. Through independent studies, OSHA has confirmed employers who have in place a safety and health training program experience a 52 percent lower rate of “injury with days away” than employers without a program. A second study of private industry employers by OSHA found even more benefits to a safety training program. Workplaces that establish safety and health management systems can reduce their injury and illness costs by 20 to 40 percent, according to OSHA. A NIOSH study of 55 confined workplace fatalities found that only three of those losing their lives ever received training on the proper workplace safety procedures. A study of the California insurance industry also revealed that every dollar invested in safety training resulted in $3 or more dollars in savings. By requesting and reading this report, you are no doubt aware of the hazards associated with aerial lifts and the long and crucial list of regulations that your company must abide by. Meeting these regulations is a tedious process requiring you either develop a training program yourself or to outsource with expensive safety consultants. There is, however, a better solution. Here at Safety Services, we have developed a “Do-It-Yourself” aerial lift training program that is both simple to administer and fulfills all your OSHA requirements. This innovative kit features an Interactive Training Program, Student’s Handbook, Instructor’s Handbook, OSHA Regulations, Student Tests, Training Logs, Fall Protection Checklist, Certificates, Wallet Cards and More. Our $499.99 kit is a simple three (3) step solution that brings all your employees into compliance. Classroom/online training – The first step of our program is an intuitive electronic training session. Furthermore, through the program, employees navigate an electronic training program at a computer and then take an test that is graded automatically in real-time. Field training – The second part of training is in the field. During this portion of the session, your appointed trainer shows the trainee the infield applications of the materials they learned in the classroom session. Evaluation – The third step to the training session is evaluation. Through this step, the trainer evaluates the trainee and either signs off on certification or retouches on topics that need more work. Above all, certification through the program meets or exceeds OSHA requirements. In addition to meeting training requirements, the scissor lift training kit also provides instruction on how to craft your aerial lifts written policy. However, if you are not comfortable writing your own policy we can provide the service for an additional fee. If you need help, please call (877) 754-9547 today to speak with one of our safety solutions experts. This publication does not itself alter or determine compliance responsibilities, in other words, OSHA sets standards themselves and the Occupational Safety and Health Act. Moreover, because interpretations and enforcement policy may change over time, for additional guidance on OSHA compliance requirements, the reader should consult current and administrative interpretations and decisions by the Occupational Safety and Health Review Commission and the Courts.